A delicious make-ahead dessert for Thanksgiving or other fall parties. This cheesecake starts with a lemon gingersnap crust and is filled with swirled layers of pumpkin and vanilla cheesecake. 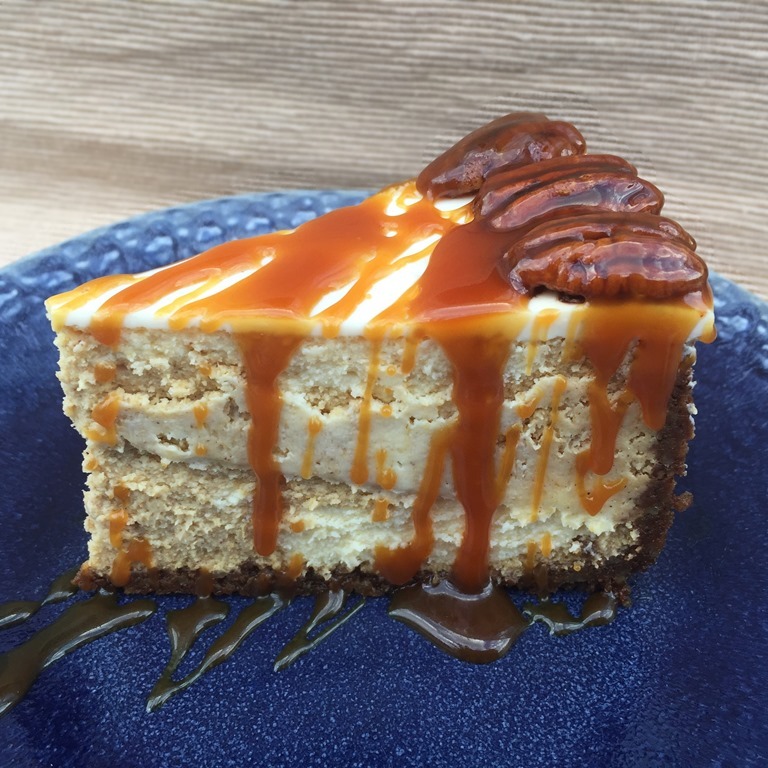 To send it over the top, the cheesecake is garnished with candied pecans and then salted caramel is drizzled over individual slices. Even my cheesecake-averse daughter asked for this to show up on the Thanksgiving menu again this year. 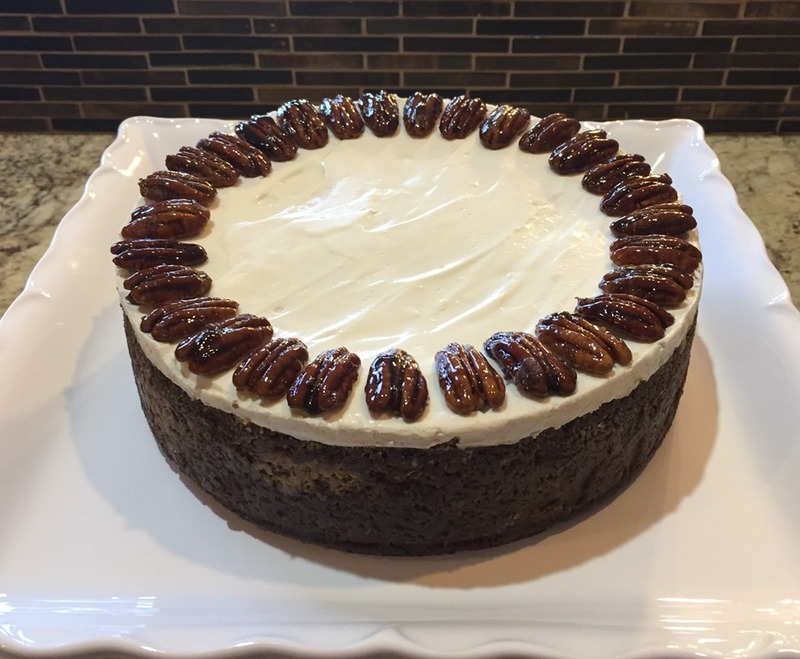 Just before serving, arrange the candied pecans around the outside edge of cheesecake. The pecans will get soft if they are put on the cheesecake and refrigerated too far ahead of time. 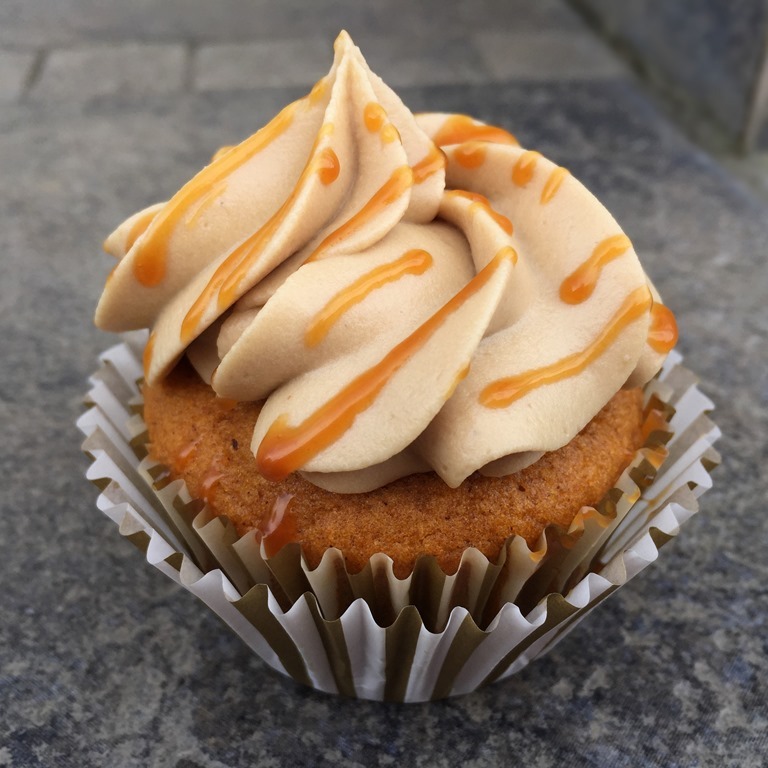 Don’t skip the salted caramel. It really makes this an extraordinary dessert. And if there is any leftover, it is perfect for drizzling on ice cream, waffles, or just about anything. Preheat oven to 350°F. Wrap springform pan in a double layer of foil. Place springform pan in a larger roasting pan. Pour half of pumpkin filling into crust. Slowly pour half of the vanilla filling over top of the pumpkin batter. Use a knife or spatula to gently swirl. Repeat with remaining pumpkin and vanilla batters. Swirl again. Fill roasting pan (not springform pan!) with very hot (almost boiling) water to about 1-2 inches deep. Bake cheesecake in the water bath for about 80 minutes. (Cover top of cheesecake with foil if it begins to brown before it is set.) When it is cooked, the cheesecake will have puffed significantly, and the middle will still be slightly jiggly, but not soupy. Remove pan from water bath and run a sharp knife around the sides, but do not remove ring. While cheesecake is baking, combine sour cream, sugar, lemon juice and vanilla in a small bowl. Pour over hot (cooked) cheesecake and let stand at room temperature for 60 minutes. Cover cheesecake pan (do not remove sides) with plastic wrap, taking care not to touch the surface of the cheesecake. Chill for at least four hours, preferably overnight. Place a large piece of parchment paper or non-stick foil on the countertop. Combine sugar, water, salt, and cinnamon in a skillet. Cook over medium heat until mixture comes to a full boil. Stir in pecans. Cook, stirring constantly, for 2-3 minutes. Spread pecans on parchment paper/foil. While still hot, use 2 forks to separate pecans into a single layer so that pecans are not touching. Cool completely. 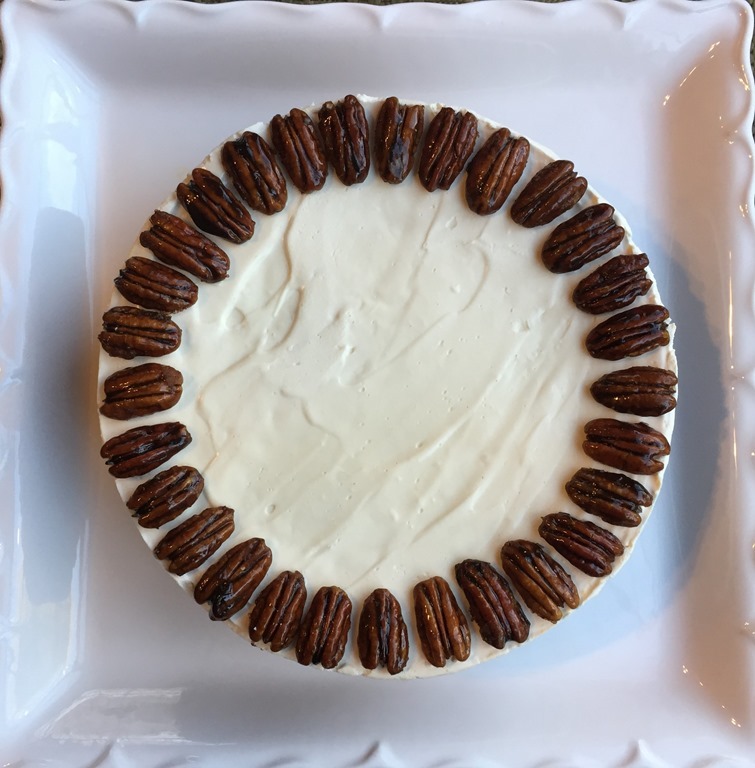 Just before serving, arrange candied pecans around the outside edge of cheesecake. Place sugar in a medium to large saucepan (mixture will bubble up and expand as cool ingredients are added to the hot pan, so use a large pan). Cook over medium heat until sugar just begins to melt. Stir gently, trying to keep sugar crystals off of the sides of the pan. Continue to cook, stirring occasionally, until sugar melts completely and is a medium amber color (about 350°F if you use an instant-read thermometer). Reduce heat to low and quickly whisk in butter chunks, stirring constantly. Drizzle individual slices with Salted Caramel. 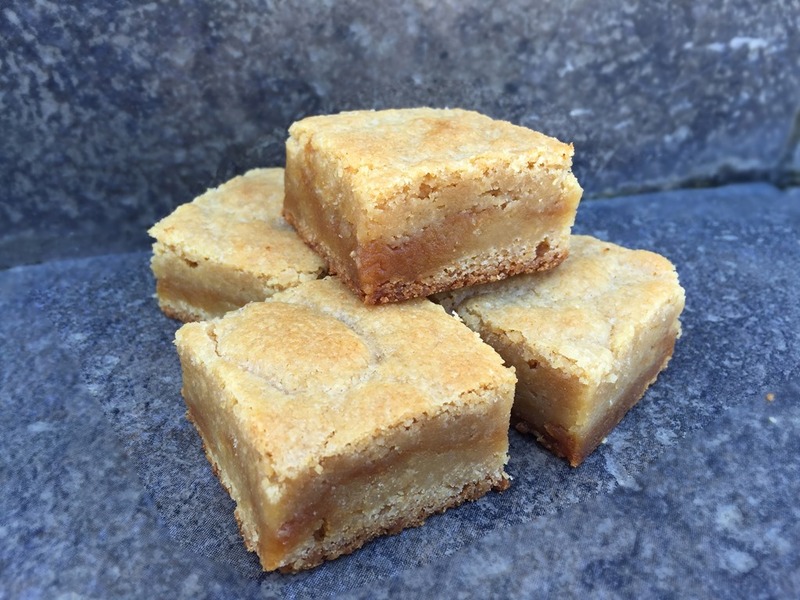 A tender bar cookie with a sweet layer of salted caramel. 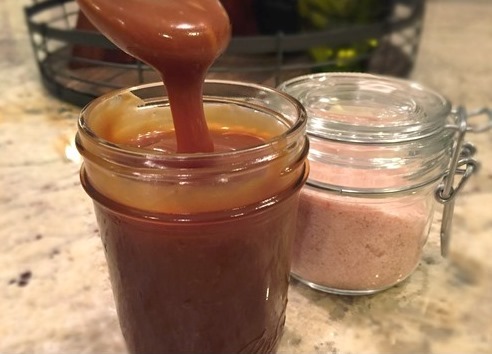 You can use caramel sauce from a jar, or try the homemade recipe below. You will never go back after trying it! 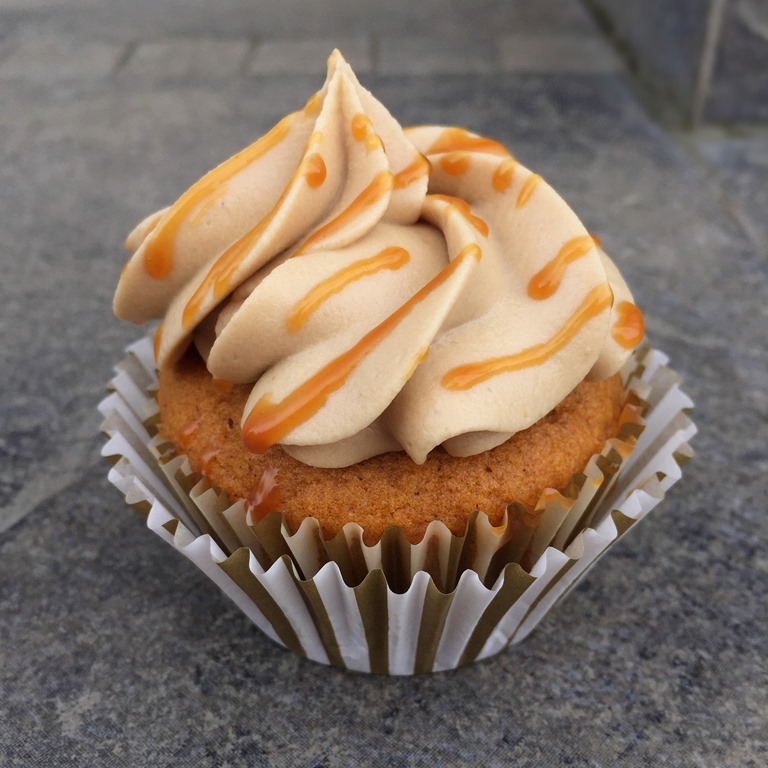 The salted caramel recipe below makes more than you will need for the bar cookies, but I’m sure you can find other uses for the leftovers (apples, ice cream, pies, your finger). Preheat oven to 350°F. Line a 9” square baking pan with parchment paper or nonstick foil; set aside. Place the melted butter in a large bowl and whisk in the brown sugar. Add the eggs and vanilla and whisk to combine. Mix together the flour, baking powder, and salt. Fold into wet ingredients with a rubber spatula until well mixed. Press half of the dough into the prepared pan. Pour the salted caramel sauce onto the center of the dough and spread into an even layer, leaving about a ½-inch of space around the edges. Drop the remaining cookie dough in spoonfuls over the caramel and gently spread until the caramel is covered. 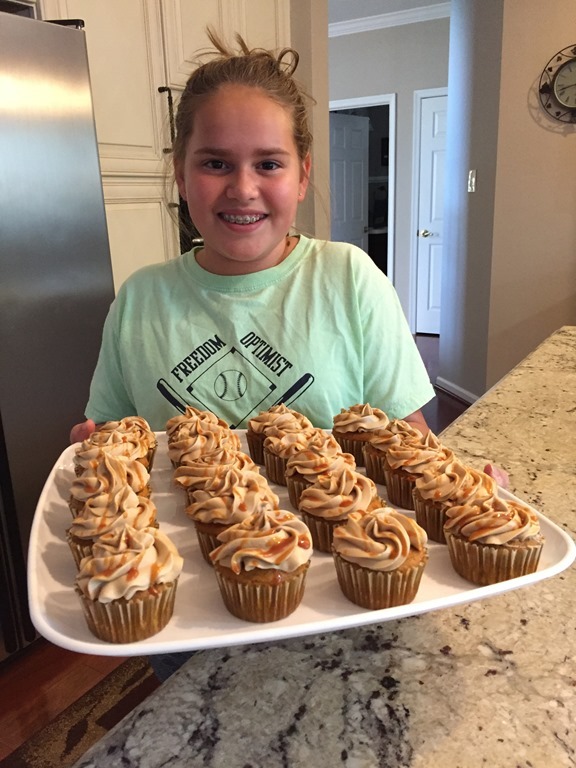 Bake for about 30 minutes, or until the top is golden brown and a toothpick inserted into the center comes out with just a thin coating of caramel. Cool the bars on a wire rack to room temperature, then refrigerate for at least 30 minutes to allow the caramel layer to set. Cut into 16 squares and serve.